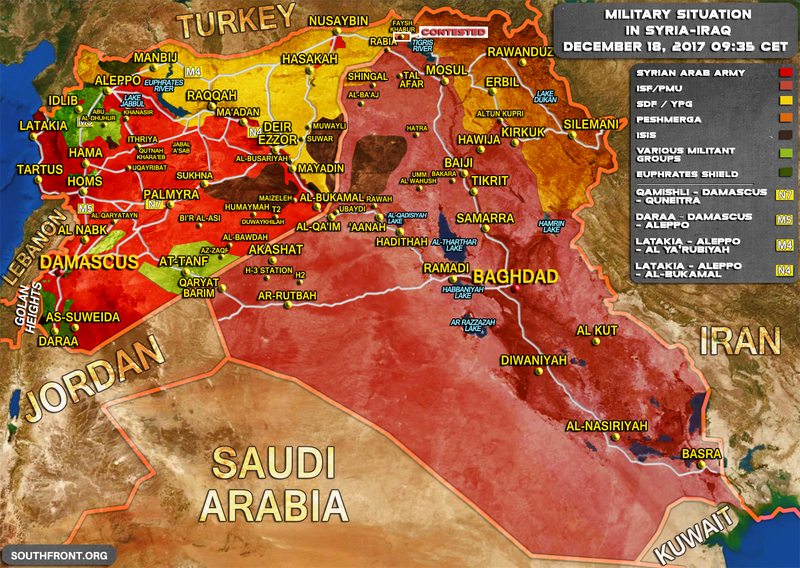 Military Situation In Syria And Iraq On December 18, 2017 (Map Update) 6 out of 5 based on 4 ratings. 4 user reviews. An evacuation agreement aimed to allow Hayat Tahrir al-Sham (HTS) members to left Damascus’ Eastern Ghouta region for the province of Idlib has failed. 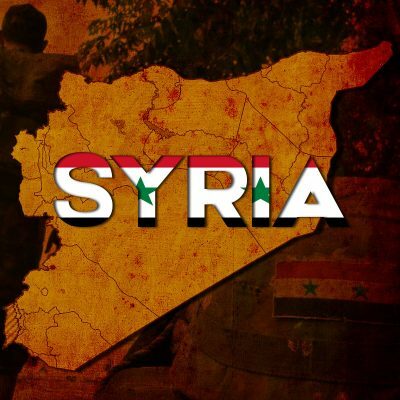 The Syrian Arab Army (SAA) and its allies have regained all positions that they had lost to ISIS in the Euphrates Valley. The SAA and other pro-government factions have repelled an attack by HTS in northern Hama and further advanced in southern Aleppo. The US-backed Syrian Democratic Forces have advanced on the village of Jaras Sharqi on the eastern bank of the Euphrates and continued developing momentum in the area. The first Iranian military convoy has entered Syria via a land route linking Iran, Iraq, Syria and Lebanon. I wish the situation soon could be beautifull as this map. In the Middle East is one true.USA and Nato are hateful and Russian Federation is welcome !